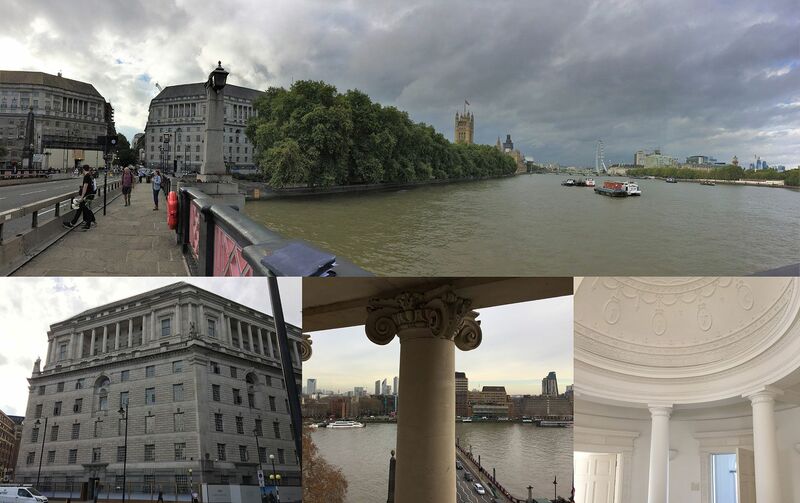 The project consists of the renovation of Imperial Chemical House (1929), classified as a building of special interest suitable for becoming a prestigious residential complex on the bank of the Thames, near the Westminster's Palace. 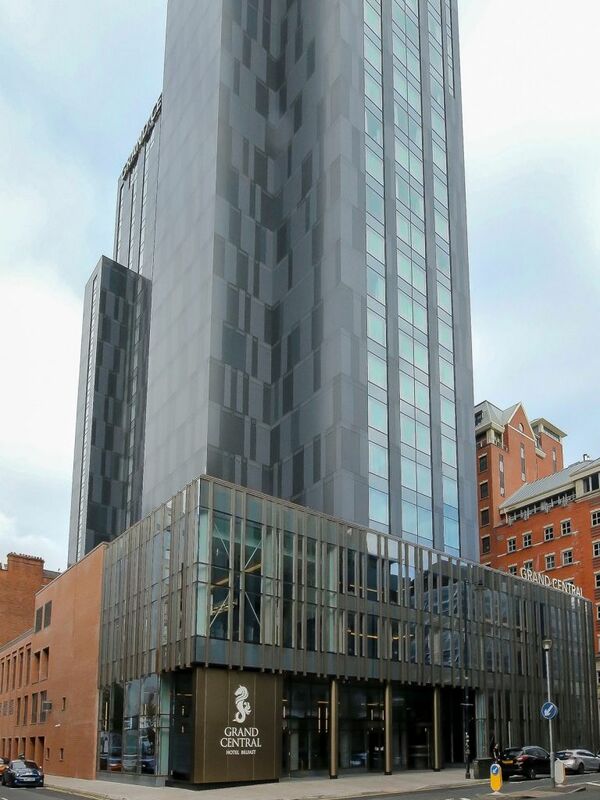 In accordance with the local legislation, the change of use has led to the increase of the fire resistance requirement, requiring the intervention of passive fire protection of bearing structures. 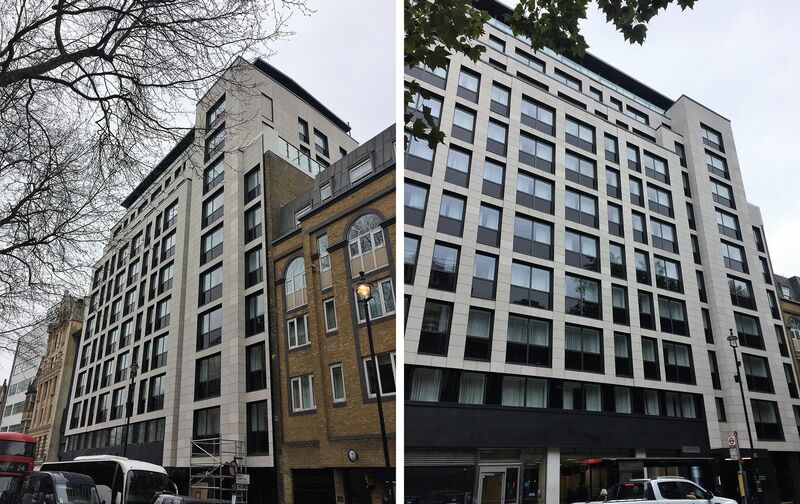 A few steps from Trafalgar Square in London, with an area of 3500 m² and a height of 35 meters, the former Alhambra House was originally designed as a centre of offices and later converted into a hotel. The fire resistance requirement of structures has been increased following the change of the intended use. 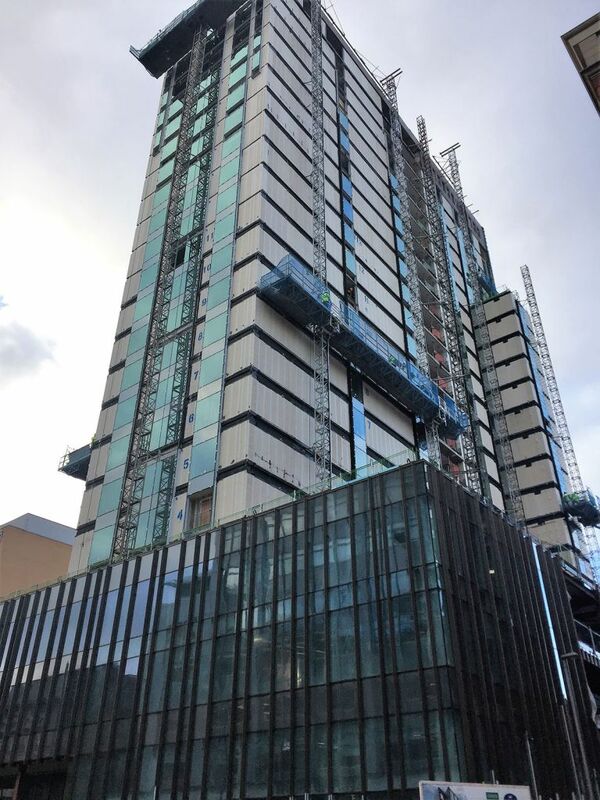 The passive fire protection methodology has been weighted analysing the type of construction and services required.The solution with intumescent paint has therefore been chosen. The office and service centre of Donnybrook House, in the Dublin city centre, covers an area of 6500 m² and is an important economic and industrial hub of the city. Following the work of building renovation, a greater requirement of fire resistance of the structures has been defined. The analysis of structures in accordance with the current regulations has proved impossible to achieve the required performance. Work then proceeded with the design of a passive fire protection solution. 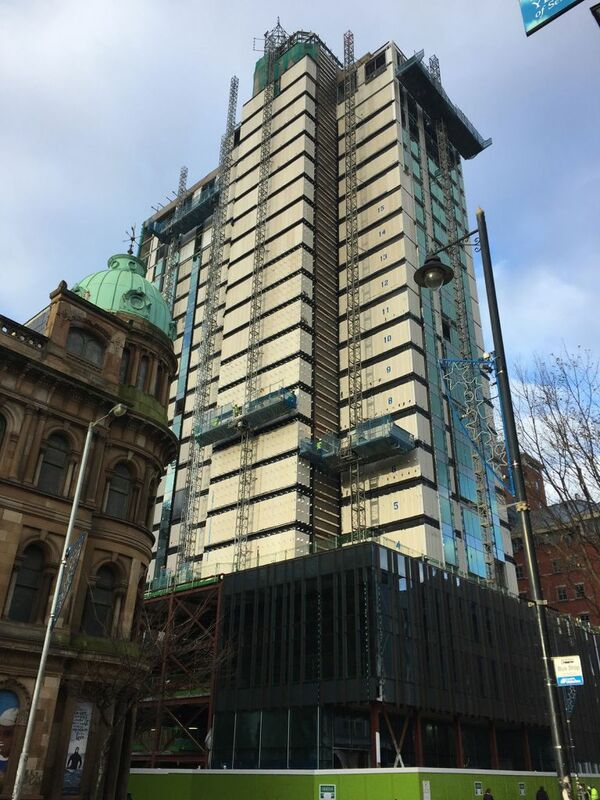 The restructuring of Windsor House (1974), one of the city symbols, led to the transformation of the 23-storey tower in the "Grand Central Hotel". 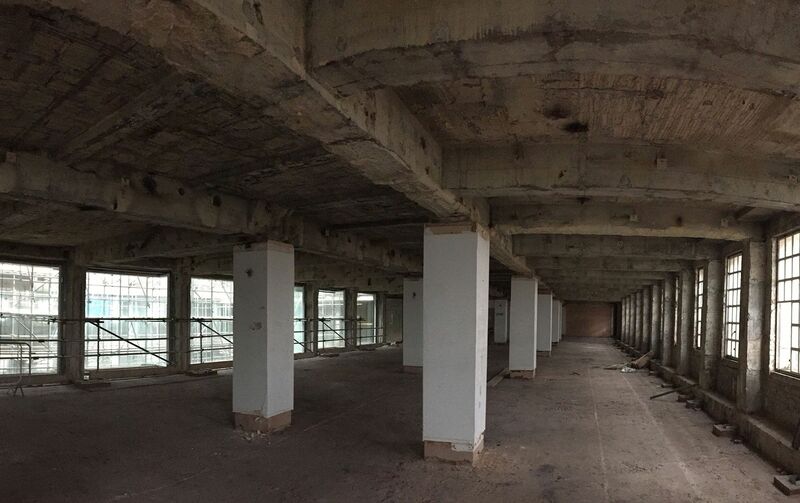 Being a building with a relevant fire-safety height, the bearing structures should satisfy the most stringent of the fire resistance requirements, requiring the intervention of passive fire protection and its subsequent certification. Fire protection design for the new construction of a resort that includes lodging, restaurants, conference rooms, mosque, SPA. The Rizzoli Orthopaedic Institute is an institution of hospitalization and care that includes health care and research. The hospital facility embraces both the orthopaedic-trauma area and the rehabilitation one in a complex of historical and artistic importance. The activity carried out involved both the fire-safety design and the study of escape flows, specifically the activity for which the fire-safety design has been performed relates to the Hospital complex in question developed in two main buildings: the Hospital - Modern Wing mainly used as a hospital and the Monumental Building used as Day Services Health Centre. The activity carried out aimed to study the escape flows of people in complex and strategic buildings, through the use of software dedicated to the evacuation modelling according to Fire Safety Engineering principles. This is how the problems related to the lengths of escape routes were resolved guaranteeing an evacuation of people as provided for in the legislative timeframe. The design involved a building called "Asta Servizi" of Centergross S.r.l. 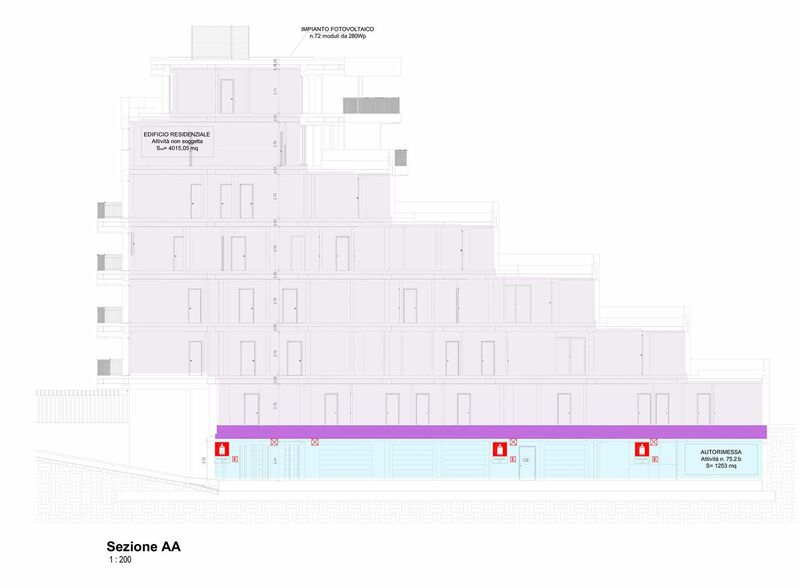 Due to changing management needs the building has been subjected to a new conformity assessment for some points relating to the semi-basement and the entire surface of the floors. 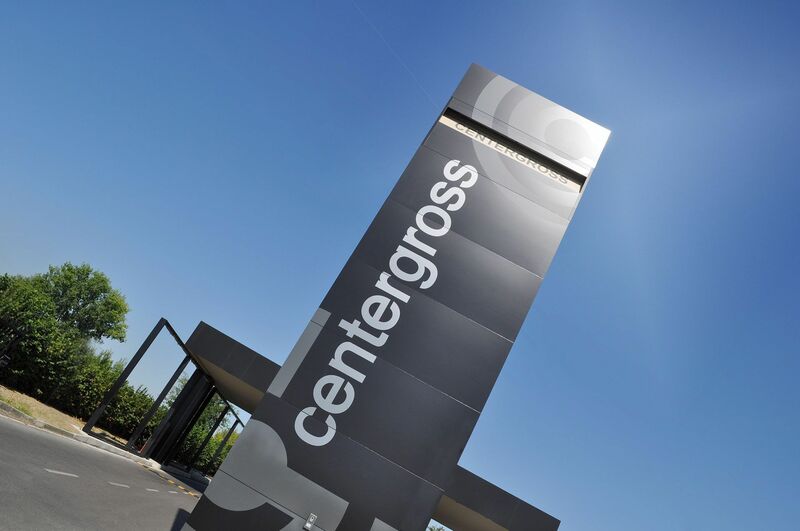 The business, which has been subject of evaluation, is related exclusively to the garage business of the shopping centre that is carried out on two levels with a total surface area of 15,610 m² and having a total number of 595 parking spaces. 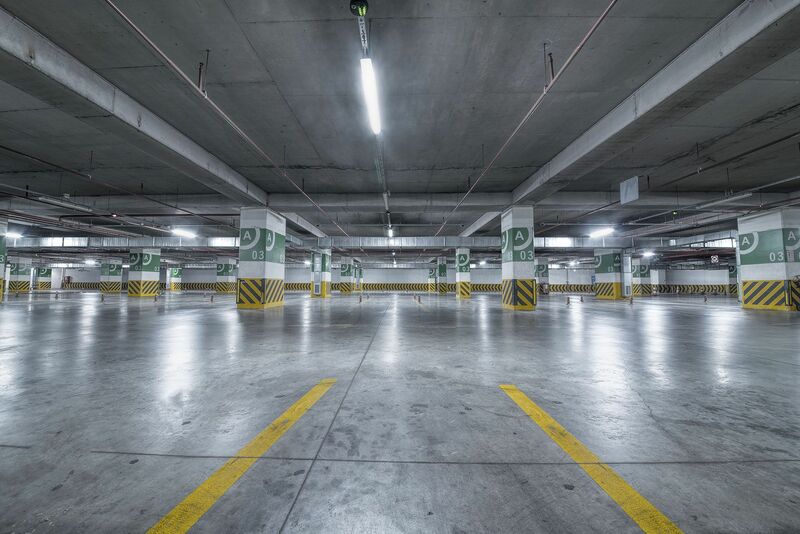 The garage is extended on 2 levels (underground floors) consisting of two fire-containment sections with a surface of 7960 m² - section 1 (level -1, 297 parking spaces) and 7650 m² - section 2 (level -2, 298 car places). The activity carried out consisted, through the design of fume control systems and fire prediction, in using the Computational Fluid Dynamics (CFD) to analyse and solve problems involving the motion of the fumes and their evacuation through the application of the Jet Fan plant systems according to international standards. The project consists of the renovation of the old train depot of the Halle Freyssinet, a National Historic Monument originally used as commercial transport interchange, now destined to become the largest incubator of start-ups in the world. The building, with its main structure made of prestressed reinforced concrete, is composed of three parallel aisles provided with barrel vaulted ceiling and illuminated by skylights and two lateral canopies which act as a counterweight and optimize the concrete structure. 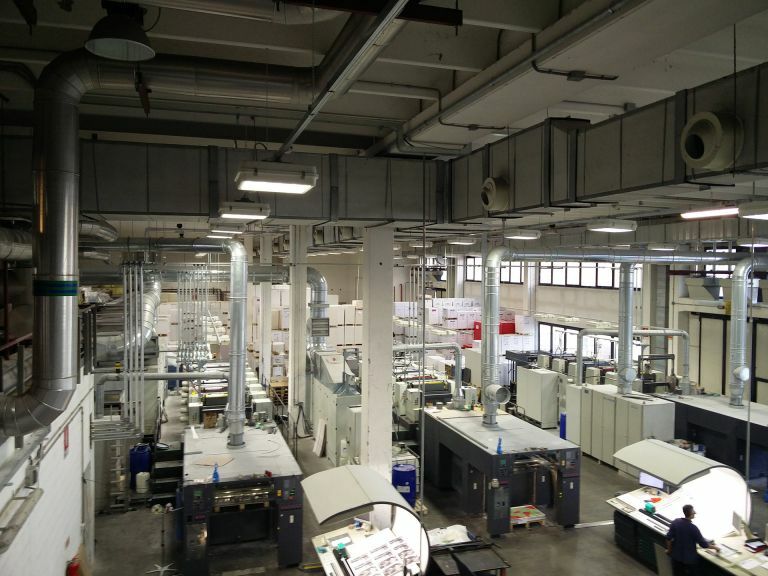 Located on the wide central area, completely open, the start-up boxes are made with a new steel structure independent from the historic one made of concrete. 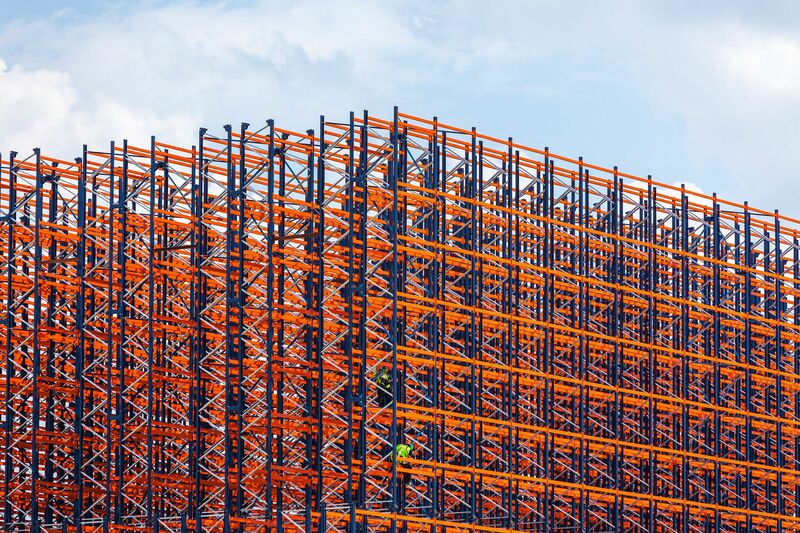 Specifically, the fire resistance rating involved the supporting elements of the new steel structures placed along the aisles, connected to each other by means of steel walkways and carrying the work boxes. The analyses managed to determine the most suitable protection system and to certify the achievement of the relevant requirement, in compliance with the French legislation adopted. 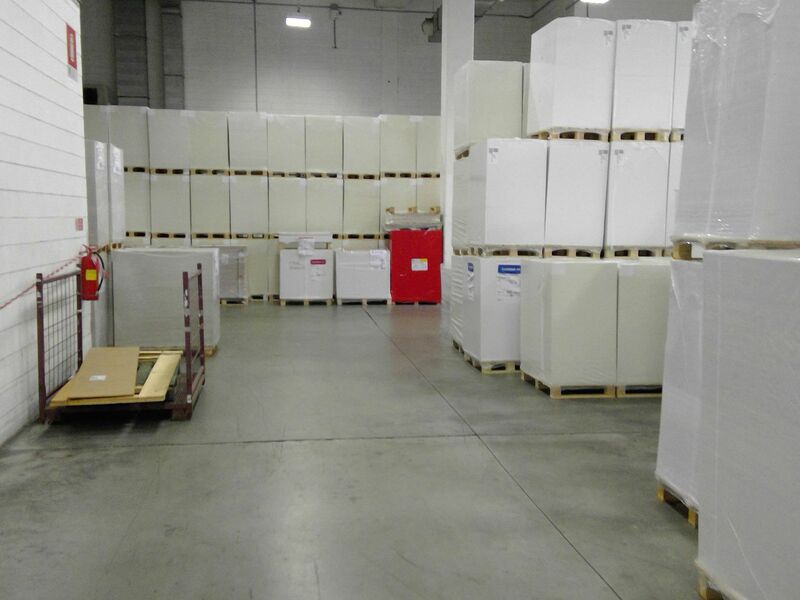 The activity for which the fire safety design has been performed relates to an industrial establishment mainly used for the production of underwear. 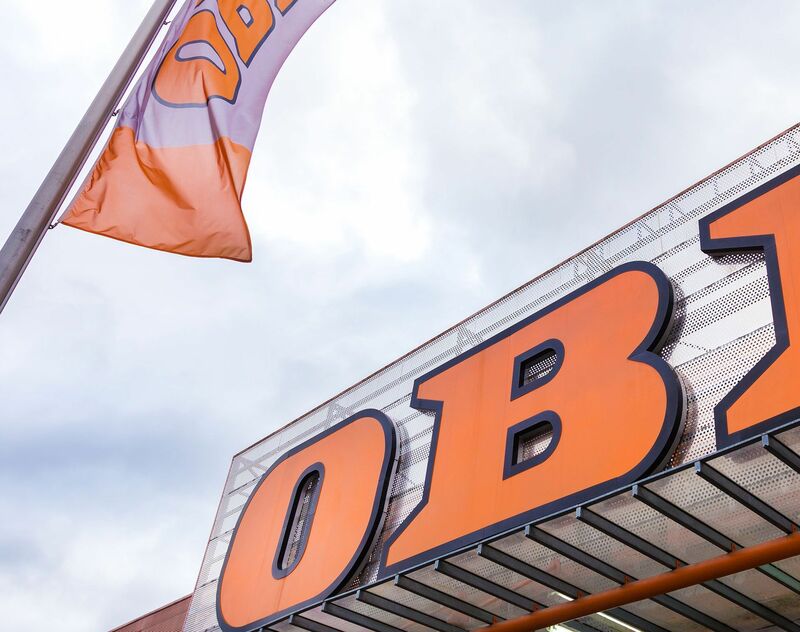 Fire safety design regarding the OBI commercial activity in order to increase quantities of flammable liquids and liquids/fuel oils within the sales area, due to the changing business and operational needs. Former Alstom Area, A and B Building. 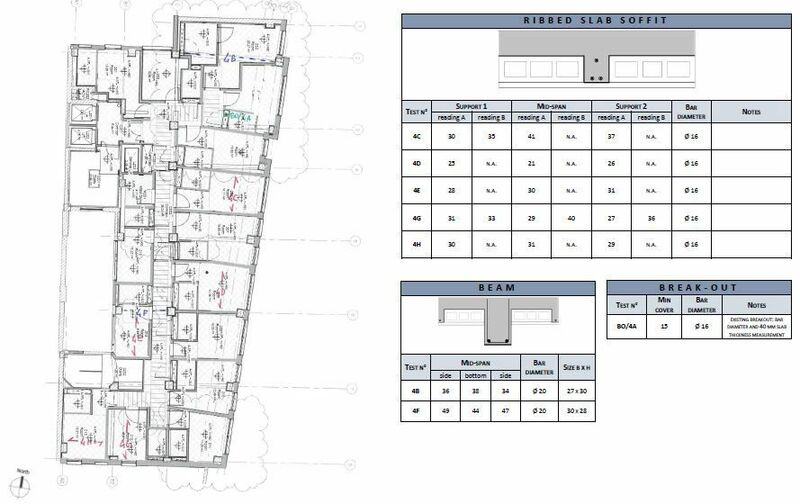 The project consists of the demolition and new construction of buildings in the former Alstom area, for the establishment of a Commercial Building (A Building) and a Residential Building of 7 floors above ground (B building) with an underlying Garage. 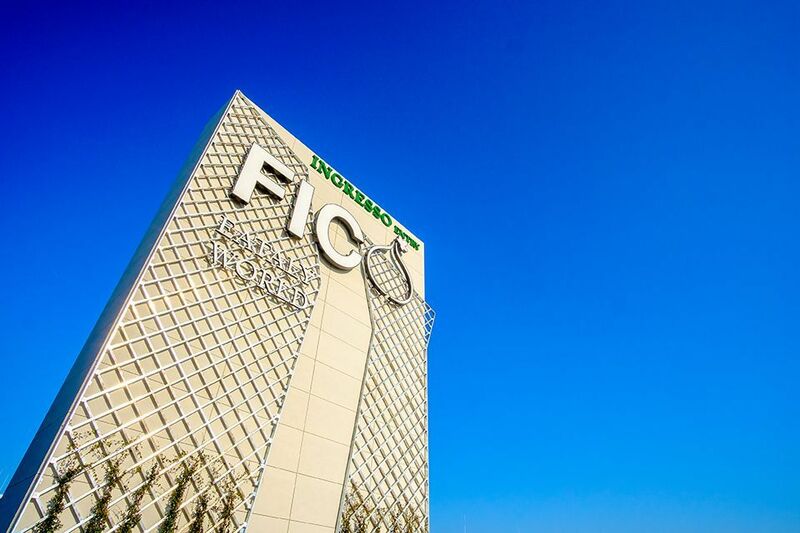 The project is part of developing a new area dedicated to international finance (Casablanca Finance City), which will cover 320 hectares and will include more than one million square meters of offices. Specifically, the fire resistance rating involved the metallic structures embodying the entrance lobby to the tower and the lower and upper brise-soleil structures. The analyses managed to determine the most suitable protection system and to certify the achievement of the relevant requirement, in compliance with the French legislation adopted for the tower design. 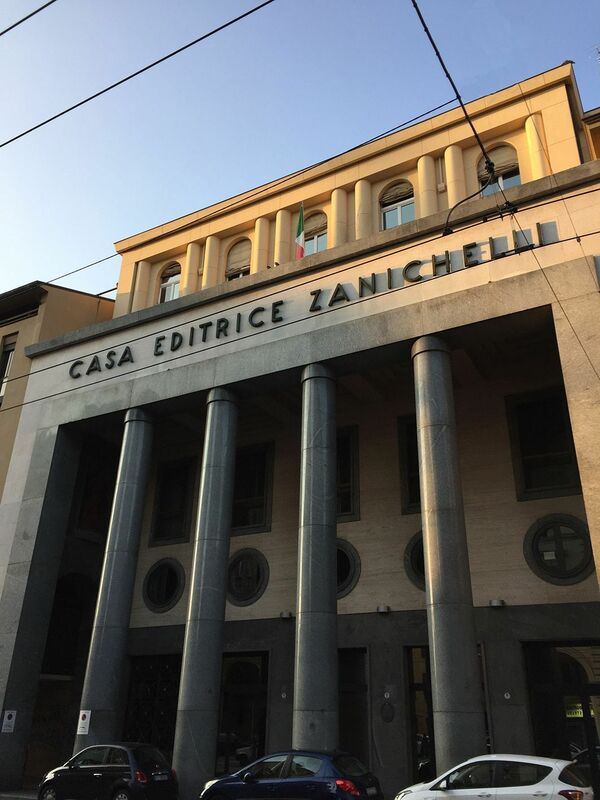 The project concerns the analysis of fire safety of the industrial complex owned by Zanichelli Editore S.p.A. 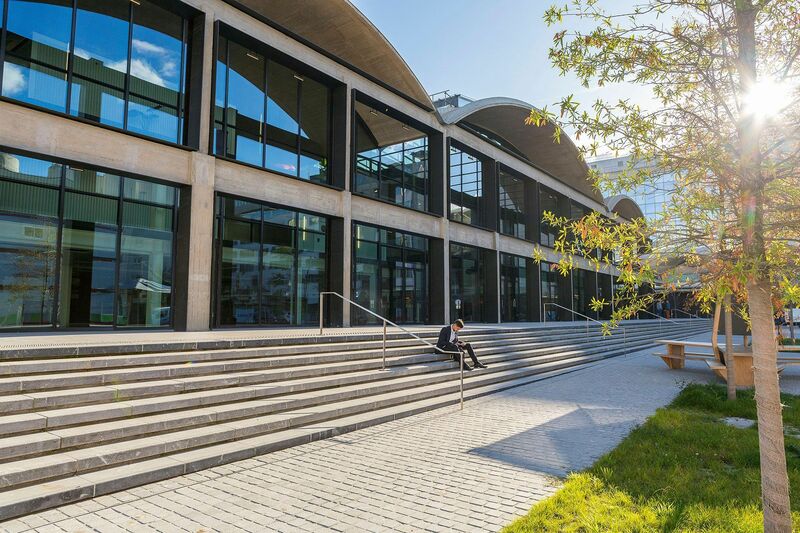 The complex is made up of two buildings, with a total surface area of approximately 15.000 m², for the storage and transport of library material. Since the separation distance between the buildings is lower than that imposed by legislation and wishing to justify a reduction of the fire-resistance requirement, always in compliance with fire safety, it was necessary to demonstrate that the building can be considered isolated. For this purpose, by means of using finite element software, structures subjected to the action of the natural fire curve, evaluated considering the most severe scenario, resulted to be affected by a favourable collapse mechanism (no sway), which typically provides the confinement of the collapse mechanism and the implosion of the structure, without thereby undermining the stability of adjacent structures. 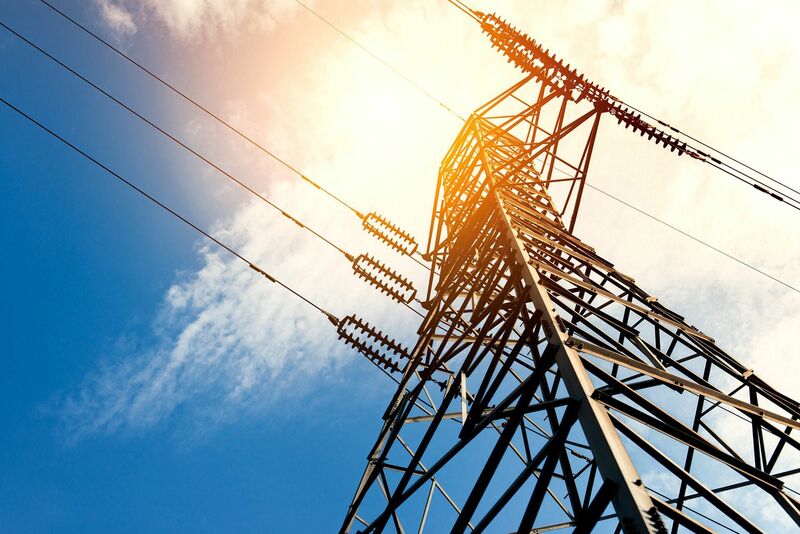 In addition, the activity has also carried out the identification of flexible and economic design solutions through the principles of Fire Safety Engineering where it was possible to guarantee, operating in the field of fire resistance and disposal of smoke and heat, a high level of global security. Fire safety design relating to a Primary Cabin consisting of 5 fixed electrical machines with the presence of combustible liquid. The Ferrari's New Sports Management (GES), which houses the main activities of the Formula 1 team, the technical and administrative offices and production workshops, occupies a total area of about 9000 m² in addition to the surrounding green areas and the internal roads, for a total of 16000 m². The building is on four levels, two underground and two above the ground. The edges are rounded to communicate an image of lightness and dynamism. 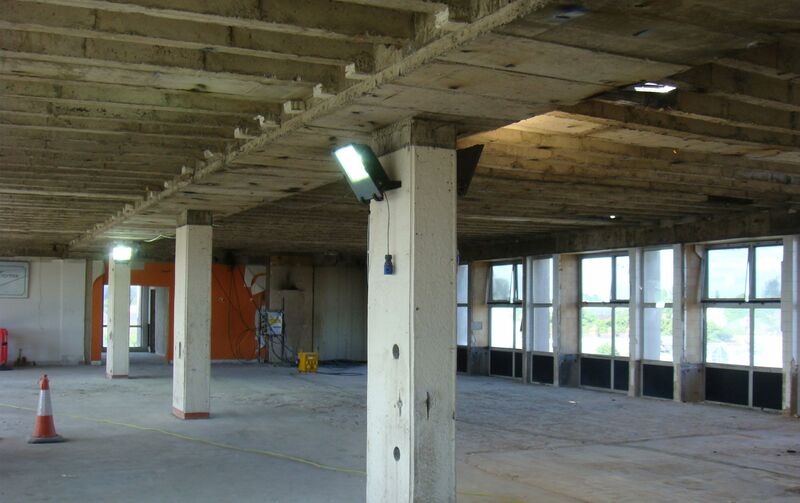 The structure was made of reinforced concrete up to the ground floor, while the part above the ground was chosen to be made of steel, so as to allow possible future extensions of the building. 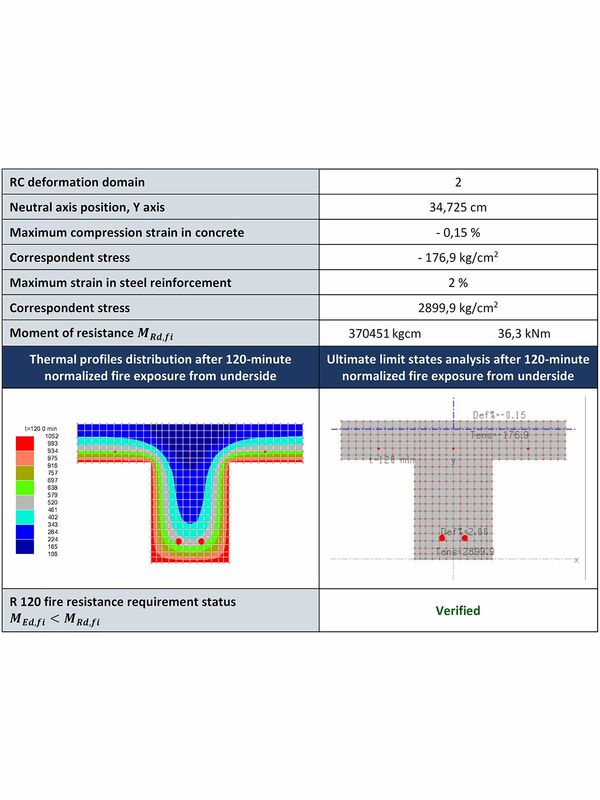 The IDF study evaluated the fire resistance of steel structures. 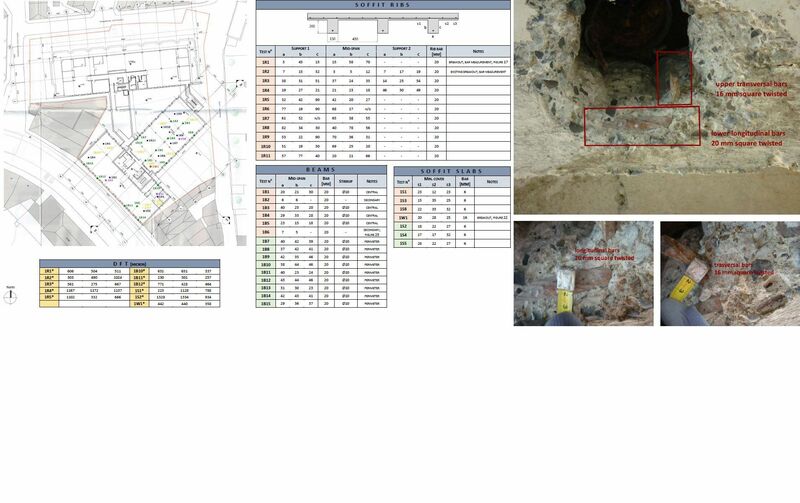 The analyses managed to determine the most suitable protection system and to certify the achievement of the relevant requirement. 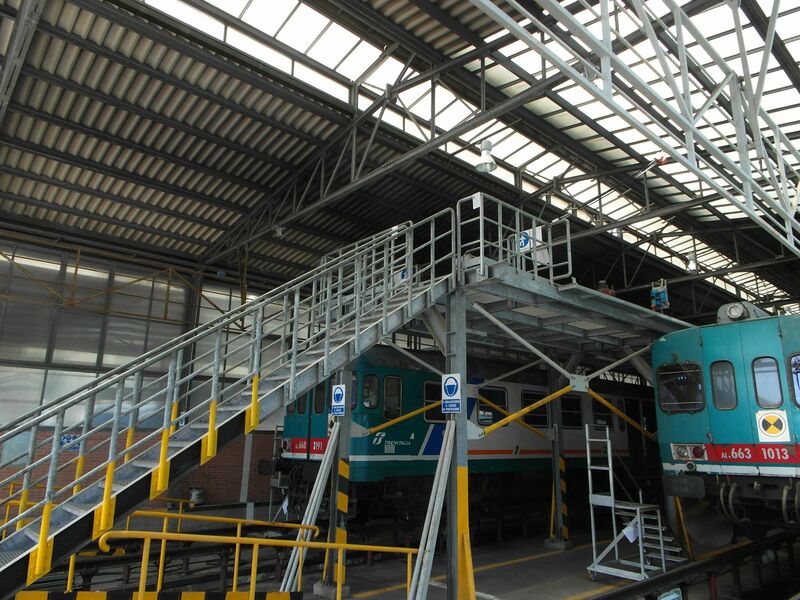 The activity for which the fire safety design has been performed relates to a newly-built isolated shed used for storing textile material. The building owned by N.C.V. Soc.Coop. S.r.l. 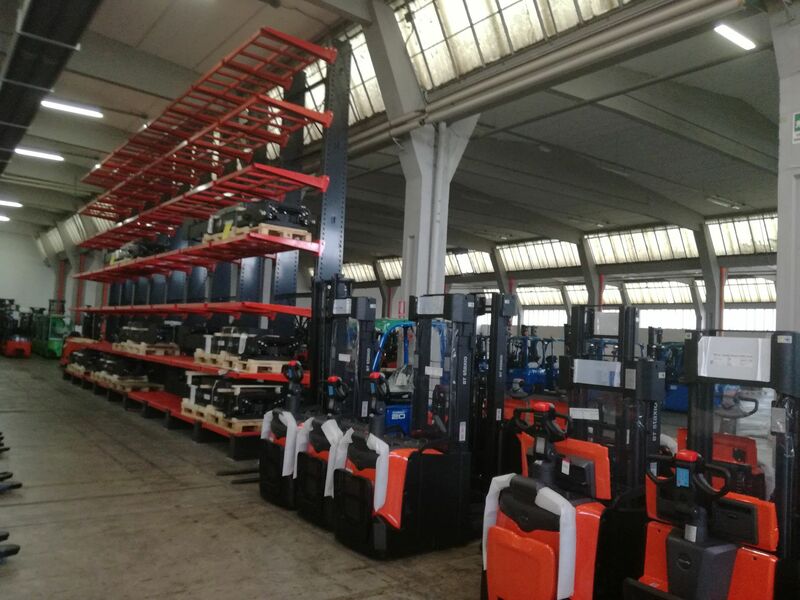 is used as a deposit of forklifts of the Toyota group and of materials, various accessories and spare /maintenance parts used in support of storage activities. It is extended over a single floor above the ground for a total area of approximately 8400 m² and its maximum internal height is approximately 8.09 m.
In the context of large-scale distribution and logistics, through the development of an accurate study of organizational and operational mode according to the principles of Fire Safety Engineering, actions have been undertaken in order to provide high operational flexibility. This is a new steel shed used as a warehouse, in the frame of procurement of Vicenza's OMC upgrading works for the maintenance of the Trenitalia's fleet of high speed trains. 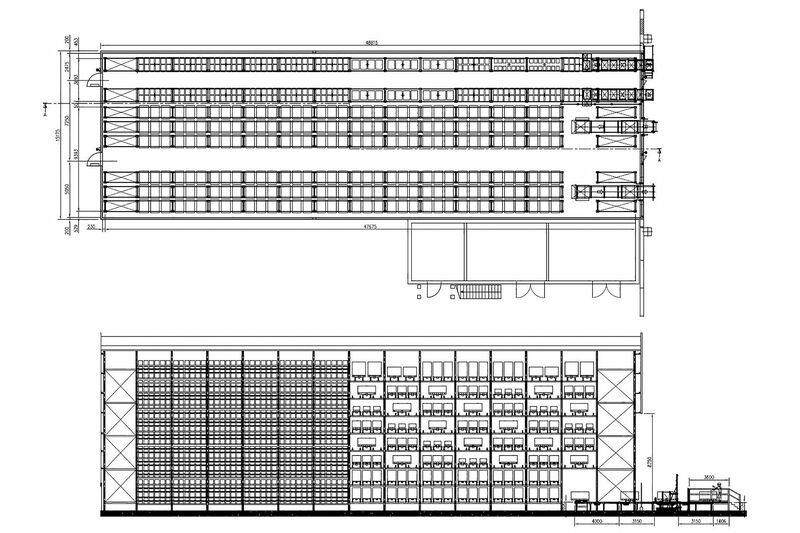 The structure consists of 5 structurally independent buildings, for a total area of about 11000 m². 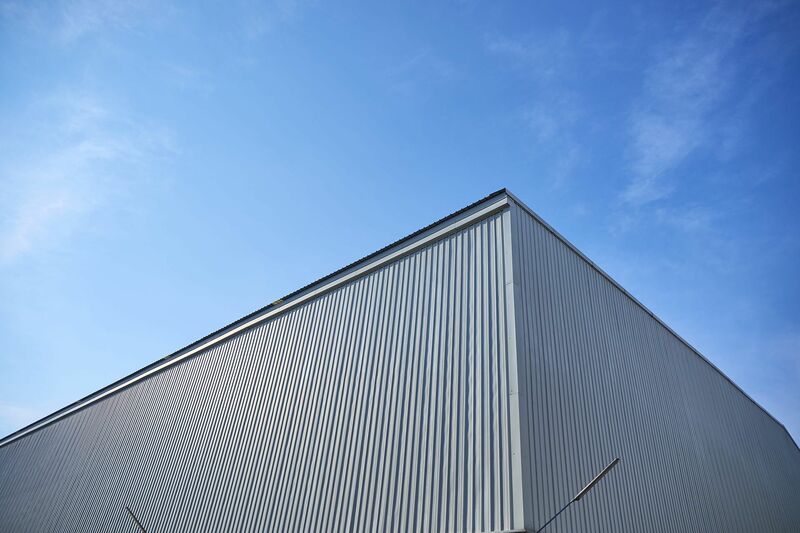 The fire resistance checks have affected the main and secondary metallic structures of the various buildings of the new shed, managing to define the most suitable protective system for the achievement of the necessary fire resistance requirements and related certification. 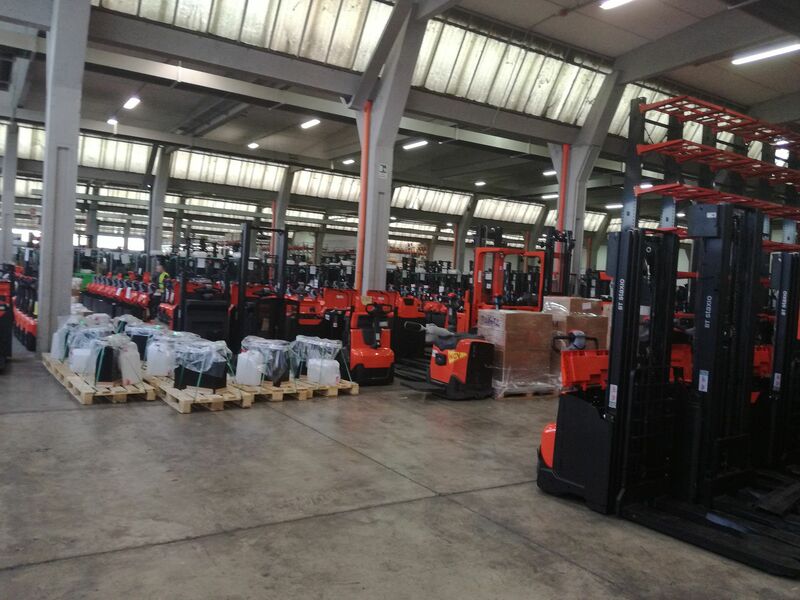 The aforementioned activities have got a productive complex a portion of which is represented by two warehouses (constituting a single fire safety compartment), characterized by a map surface of about 1171.6 m² and a maximum height of 16.7 m for the automated warehouse and 11.9 m for the traditional warehouse. The solutions provided in the field of bulk logistics and for the largest manufacturers of automated deposits are based on heat transfer models and collapse modes capable of determining the effects of fire, the constructive measures and mechanisms for the definition of the specific mode of collapse. Nuova Ompi s.r.l. 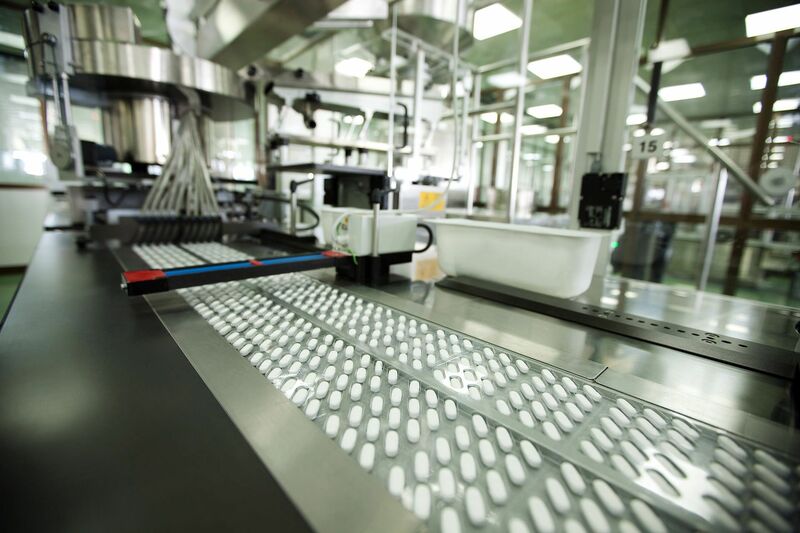 is a major leading company in the pharmaceutical sector. 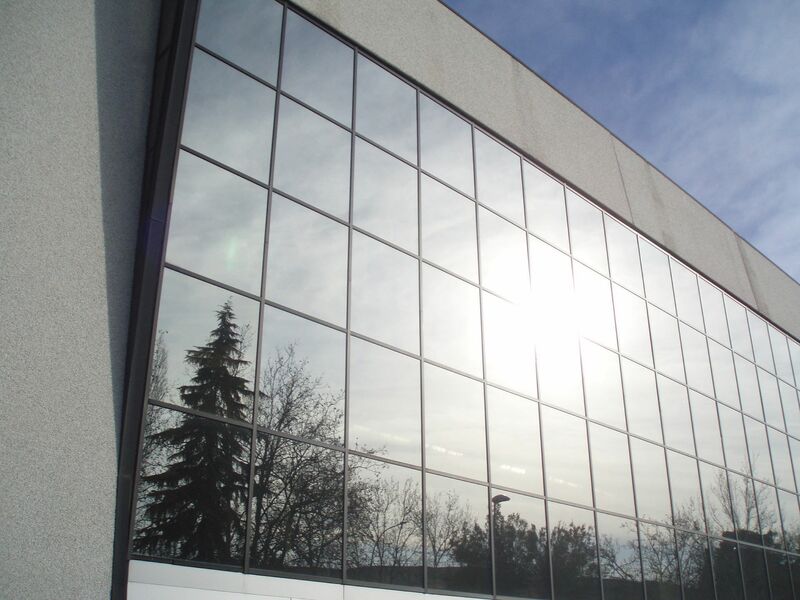 The company is established in two buildings where productive, administrative and commercial activities take place. The two buildings communicate with each other at the first floor level with an overhead walkway. 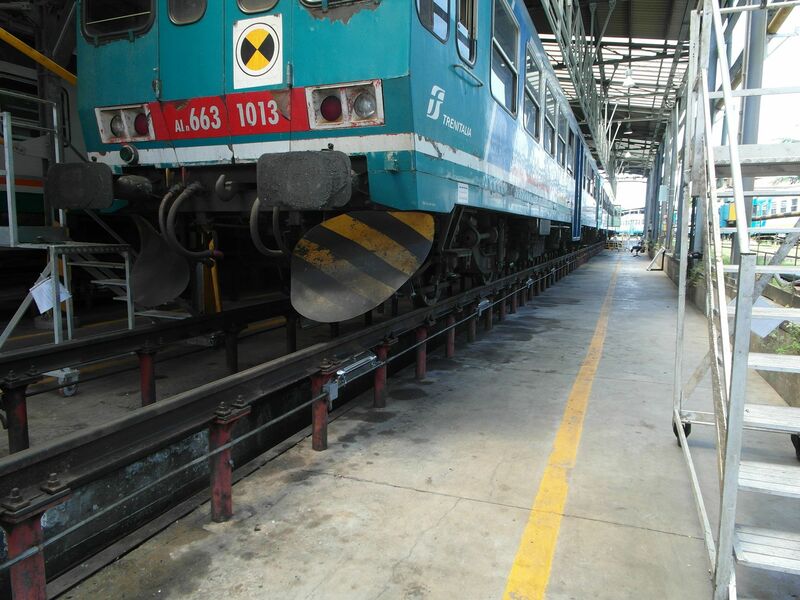 The activity carried out by IDF has been oriented towards systems engineering consulting and Fire Safety Engineering in order to optimize production processes and ensure business continuity. 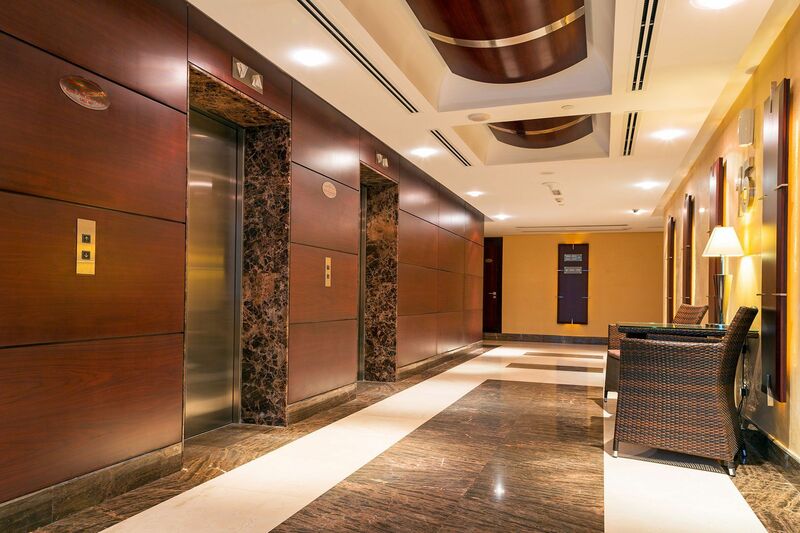 This company is one of the major European manufacturers of position switches, micro-switches, safety devices, safety modules, foot switches, control and signalling devices, devices for elevators. Two floors of the plant are above the ground and one floor is underground. For manufacturing companies of the European context, skills and knowledge have been developed by producing engineering solutions in the context of the optimization of plant systems for evacuation and disposal of fumes according to the Fire Safety Engineering principles. 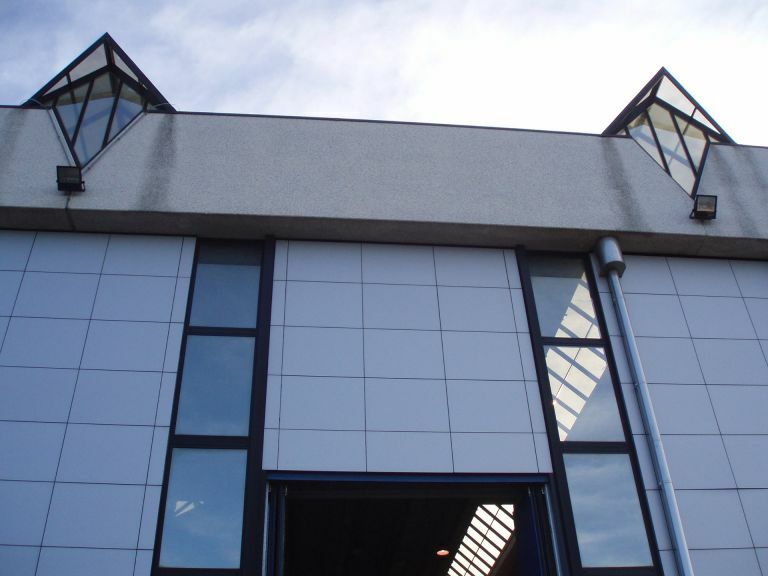 The project consists in checking the preservation of the load-bearing capacity of a warehouse of reels located in a factory owned by Centro Stampa Poligrafici S.r.l., used mainly for printing newspapers and commercial material. 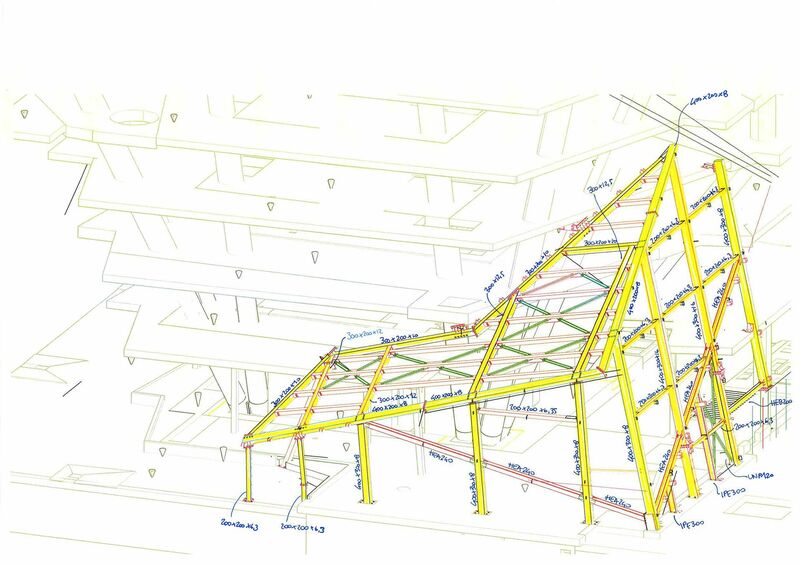 The building in question is extended over a single floor above the ground and has a supporting structure made with pillars and trusses made of steel. 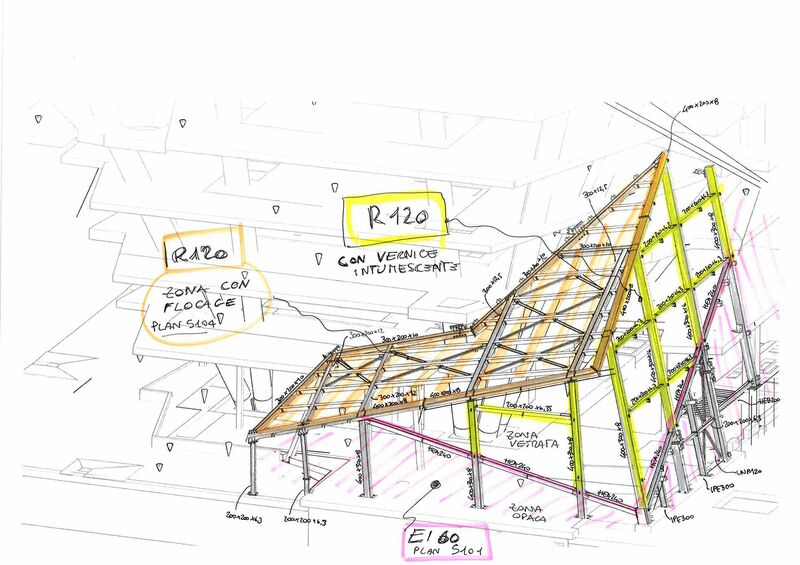 The covering trusses are made with very slender angle profiles, thus being subject to instability phenomena, and given the high section factors it appears that they cannot be protected with common passive protection systems. Therefore in order to demonstrate the achievement of the fire safety objectives a performance approach has been undertaken - FSE, identifying the various fire scenarios related to the activity, the most serious one and checking, through the use of software to the finite elements, that the structure, subjected to the natural curve of fire, maintains its mechanical characteristics of stability under the action of fire for at least 30 minutes. The guarantee should also include the absence of damage to other buildings due to structural collapse, it was verified that the structure, subject to the natural curve of fire, was affected by a favourable collapse (no sway) mechanism that typically involves confinement of the collapse mechanism and structure implosion. 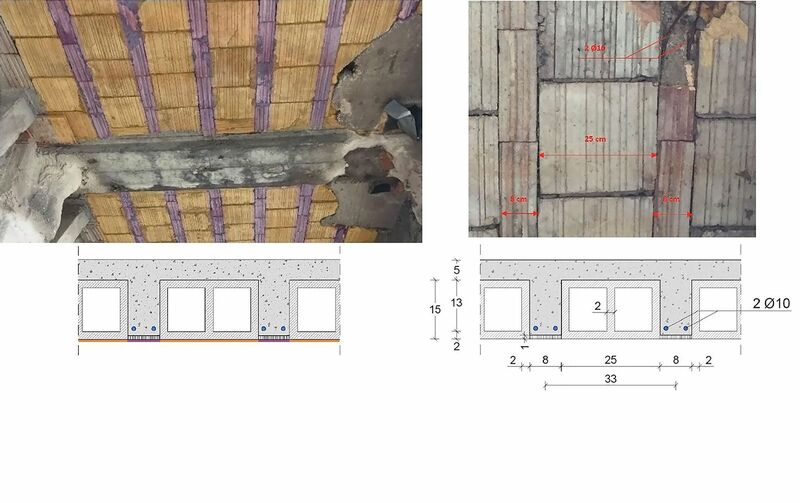 The analyses carried out have managed to minimize passive protection interventions, restricting them to only a few elements, with a consequent reduction of costs related to fire safety adjustment and considerable economic savings. 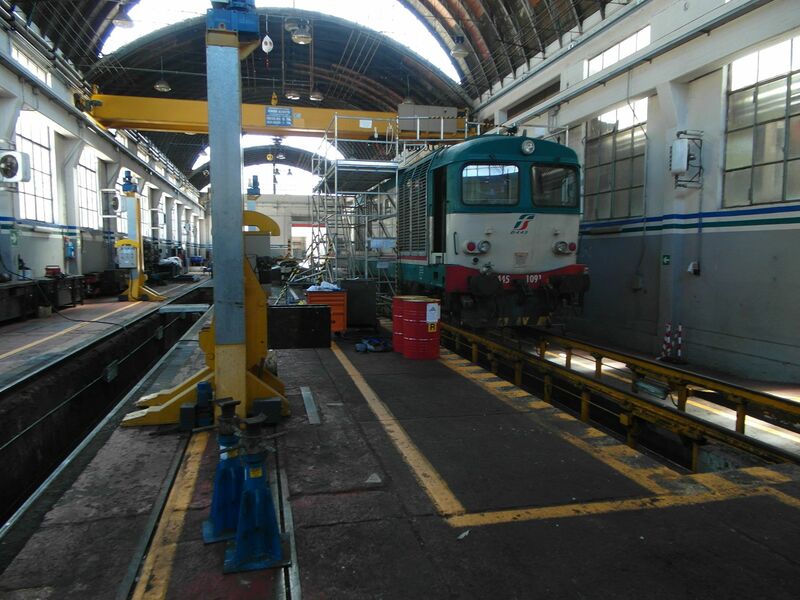 The area, where the buildings subjected to fire safety design are located being used by Trenitalia S.p.A. for the repair of traction units and locomotives, includes buildings and accessories used as offices for relevant services.